Next up is a “Happy Birthday” banner I made in Word. When I first started planning Andy’s birthday, I had to learn about the world of Ninjago. Who knew that these ninjas have different modes (i.e. ZX, Samarai X, NRG, DX)? I was wondering why I found different images online…nonetheless, my little 8-year old brother educated me about the world of Ninjago, and I was caught up to speed. The point of that rambling—well, it’s to explain that I used two different sets of Ninjago images when creating the banner—Ninjago DX and Ninjago ZX ninjas, that are patterned outside the “Happy Birthday” banner. But of course, you can do as you please and hang it all how you want. For Andy’s birthday, we just taped the banner along the kitchen bar and I made the banner to spell out his name—because he’s our main Ninja! Click to Download the Lego Ninjago Happy Birthday Banner. Print, cut, and hang with string/ribbon/anyway you want. Just have fun and be creative! Hope you like the banner! Feel free to use it and good luck on your Lego Ninjago party! Also, check out my previous post HERE and get FREE prints! Until next time, look forward to Part 3: Party Favor Boxes and Party Favors! 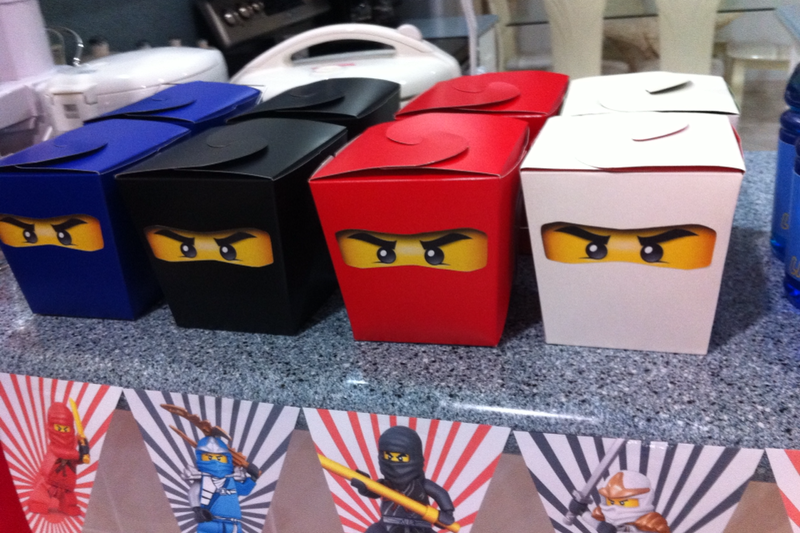 I would love to know how you did the ninja eyes for the party boxes. 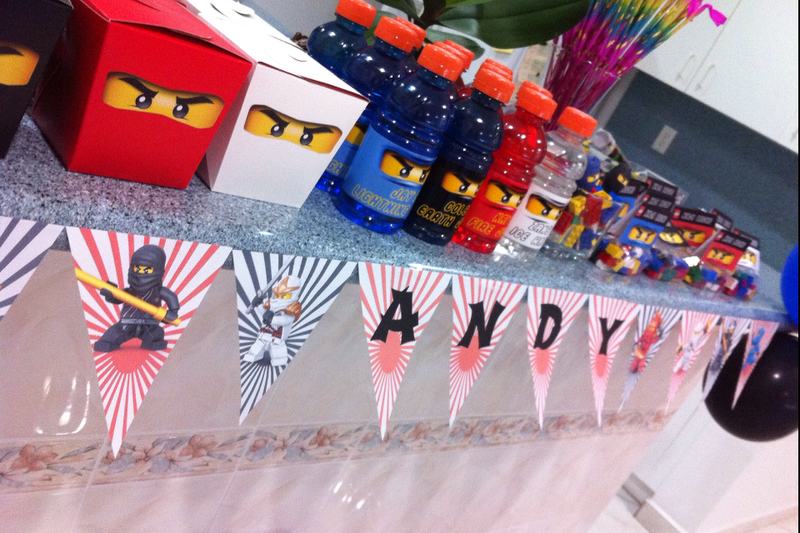 I am planning a ninjago party for my twin sons fifth birthday and I loved the table you created. For some reason when I hit the link for ninjago part 3 it says page not found? I would love to see part 3 of this party! Planning a party and need ideas for favors! Great job on the banner and party printables!